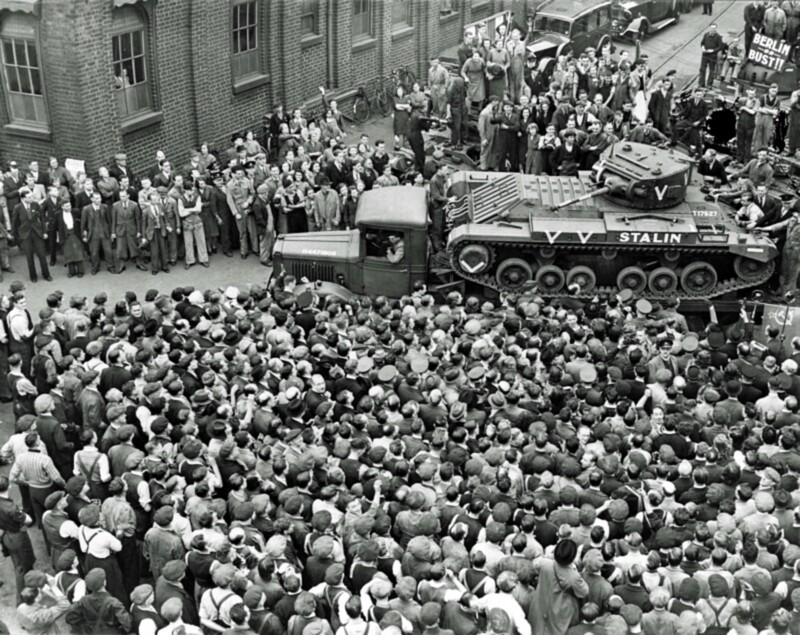 Sending the “Valentine” tank from England to the USSR under the act of lend-lease. The tank with the inscription “Stalin” is transported by truck from the factory to the port. Photo taken September 22, 1941 at the tank plant Birmingham Railway Carriage and Wagon Co. In the photo “Valentine” tank modification Mk.II.